Inishmore, the largest of the Aran Islands is a must see when visiting Ireland. The stunning island with its kind people offers a peek into the Ireland of the Celts. The island is easily reached by ferry from Roshill, which travels twice a day. Though a lot of people opt for a day trip, I would recommend staying at least one or two nights. Especially in the fall, the island is the perfect place to unwind and relax. And there is plenty to keep you busy if the weather allows. 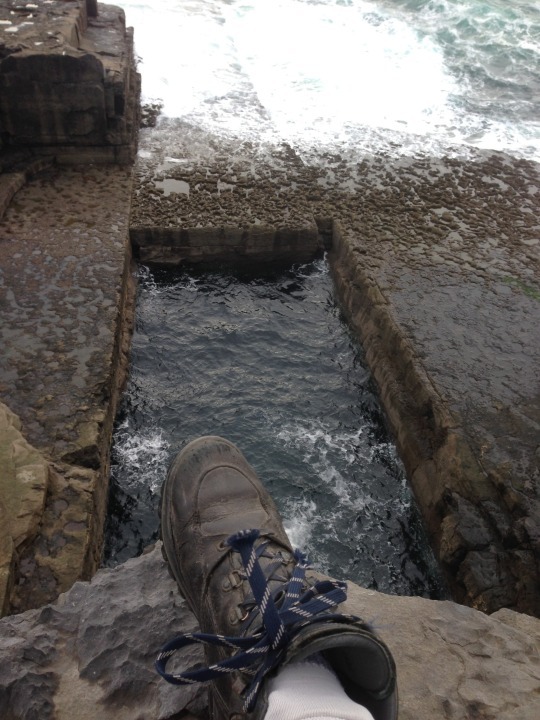 Dun Duchathair or Black Fort is my favourite place on Inishmore. The ancient Celtic Fort is perched on a cliff surrounded by a vast field of black stone. It is only a short 45 min hike form Kilronan and impressive both in good and bad weather. There is something about standing atop a cliff overlooking the wild Atlantic Ocean that makes you feel small and big at the same time. There are old churches strewn all over the island. They make for some impressive ruins that perfectly complement the moody landscape. 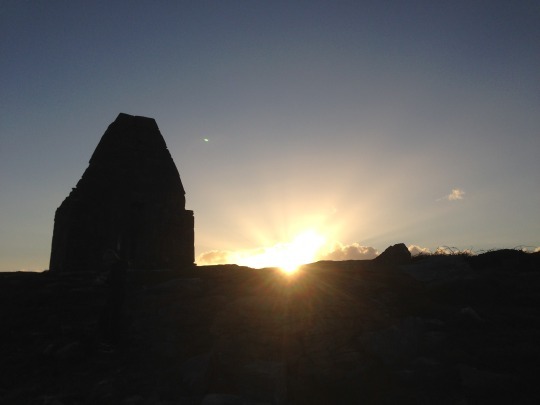 Don Anghasa is the most popular visitor attraction on Inishmore and it is easy to see why. This large fort stands upon a 300-foot cliff and gives an impressive view of the whole island. At the foot of the hill, you can find the ‘Wormhole’ a strange rectangular pool by the water’s edge. You may know it from the Redbull Cliffdiving competition. 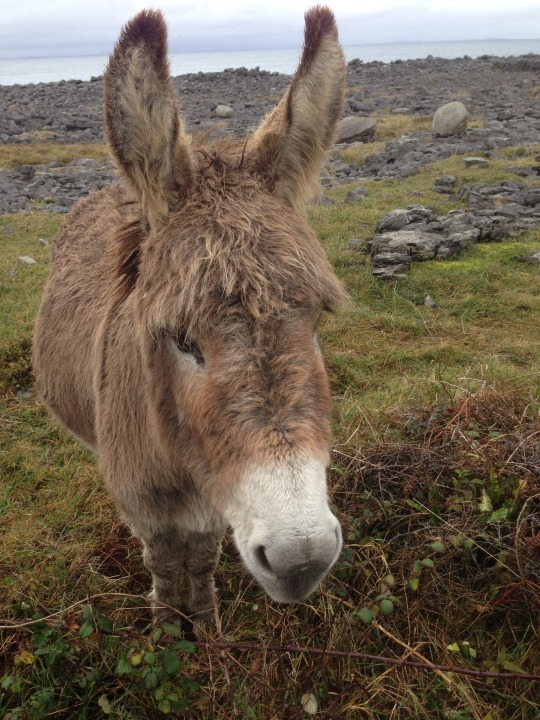 Inishmore has no shortage of wildlife and cute animals. At low tide, you can watch the seals lie in the sun and in the spring the island is filled with lambs, calves and more. Most of them are very friendly and are happy to be petted. The Aran Islands are known for their high-quality wool sweaters. Though a little pricey, these sweaters are worth the investment. Not only are they soft, warm and beautiful, they will last you a lifetime. Whether for a meal or a pint, pubs are always a good choice. There are 4 of them on the island and offer a warm friendly refuge from the cold and rain. The pubs function as a communal living room where locals come to hang out. My favourite is Ti Joe Watty’s as it has both a great atmosphere as well as good live music. A lot of people opt to spend only a day on the island, taking the ferry to and from. But the beauty of the island life can only be truly appreciated when staying overnight. For budget travellers, or anyone willing to sacrifice comfort for fun, the Kilronan hostel is the best place to stay. The hostel feels like a home away from home with friendly staff and good amenities. Not a hostel person? Try one of the many B&B’s or hotels instead. Summertime in Inishmore means tourists, so to appreciate the island with a bit more privacy, try visiting in the spring or fall instead. Being the only visitor really adds to the desolate feeling of the island.